Aternity is developing its own Blockchain and Aeternity Token, (AE), which they say will differ from existing blockchains in that the Aeternity Blockchain will allow for a more scalable platform that allows for high bandwidth transactions, purely functioning smart contracts and decentralized oracles. Aeternity had a first round ICO that started on April 3rd, 2017 and ran until April 6, 2017. The Tokens meta-tokens were released immediately. 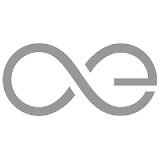 The price of the Aeternity was 1 ETH for 1,000 AE. 7% was reserved for the founding team, the founding company and the foundation (under development). 1% was allocated to people who have BTC and/or ETH addresses. Start time: Monday, 13:05 GMT, May 29th, 2017. Ratio: 1 ETH contribution yields 800 (eight hundred) AE contribution receipts (maximum at the start). It goes down to 650 at the end of phase 2. Additional perks for the first contributors: will be announced. All will be recorded on the ETH blockchain by a multisig-escrow-contract (like in phase 1). BTC donations will be possible (like in phase 1).